Diane studied psychology at Ohio State University, NLP (Neuro-linguistic programming) and Solution-Focused Life Coaching at Erickson College International. 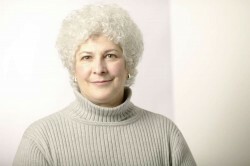 Diane has been a business owner for over 30 years, and has a successful practice in Portland, Oregon. She teaches meditation techniques and is a Master Energy Medicine Practitioner and Intuitive. Thank you so much for holding my hand through this process; for holding a safe space and always knowing and intuiting the right tool and technique. Thank you so much for being you! “It has been a treat and a joy to work with Diane. Not only has she helped me uncover my true motivations, she’s helped lay down the path toward achieving my dreams. The moment I met Diane, I knew I wanted to work with her. She had a wonderful calming effect and made me feel safe as I shared my story. She had me complete an intake form and reviewed every inch of it with me making certain that she understood my goals, dreams and expectations of our time together. Diane conducted herself extremely professionally from the start while maintaining the comfort of a trusted friend. She started each session with an agenda but remained flexible and open to where ever the process took us. We used several effective imagery tools to get to the heart of issues and roadblocks. These methods allowed me to discover my own insights and solutions rather than rely on her to give me advice and direction. I recently had the good fortune to work with Diane on a very specific and long-standing problem...I had no ideal that it would quite literally change my life. The breakthroughs...have changed me on a a cellular level. I'm convinced that Diane's skill and compassion during our session together were instrumental in these breakthroughs. As a coach, Diane is calm, caring and co-active. She has the ability to put her clients so at ease. I found myself truly stepping into some very scary territory feeling totally safe and supported. While the answers I found were completely mo own, Diane's expertise in leading me through the potential minefields which led to my breakthrough were also responsible for me getting to where i ended up. I feel blessed to have been able to working in a coaching relationship with Diane. I count myself as lucky to have been coached by her and highly recommend her services to anyone who is serious about making positive changes in their life. After two years of counseling, I have found Diane's approach as a Life Coach to be refreshing. Instead of focusing on what happened in the past, we merely touch on lessons learned and move forward to set goals for the future. The flower essences are only a bonus to help support me when I'm working on my own. Every time I leave, I feel like I have climbed over the top of yet another mountain. Thank you for your gifts!